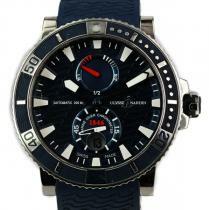 Watch Description: Stainless steel case, water-resistant to 30m. 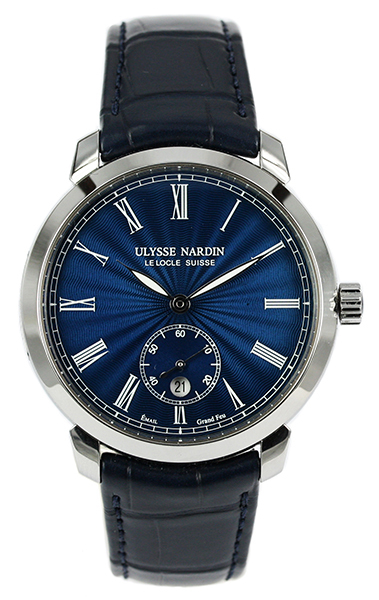 Sapphire crystal glass and display case back. 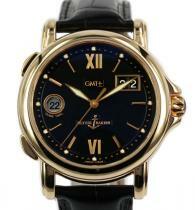 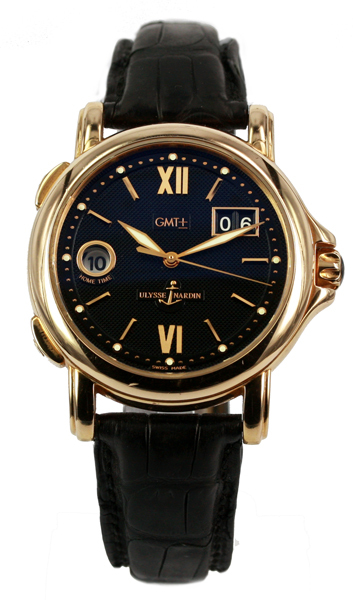 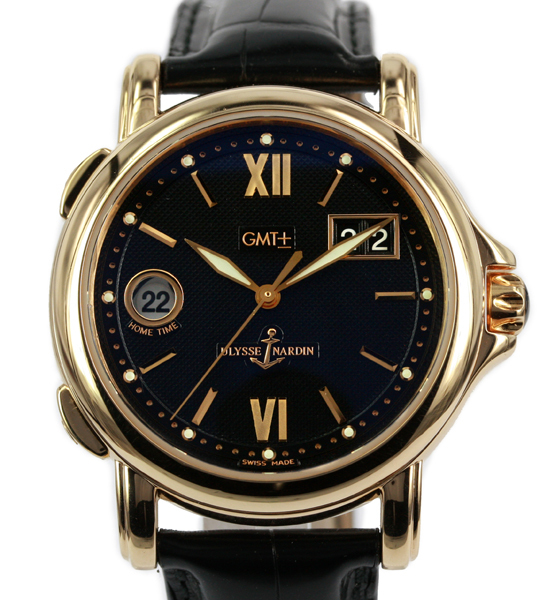 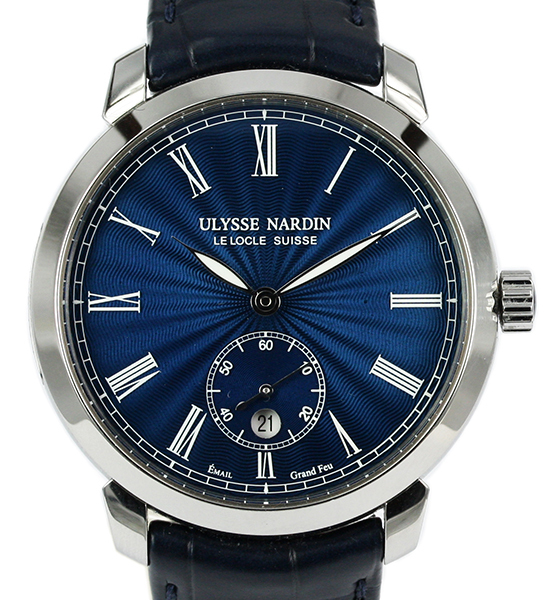 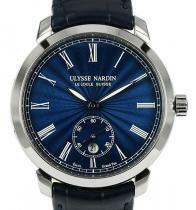 Grand Feu marine blue enamel dial. Leather strap with steel Tang buckle. 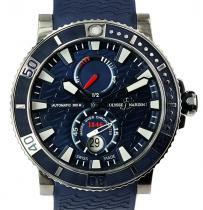 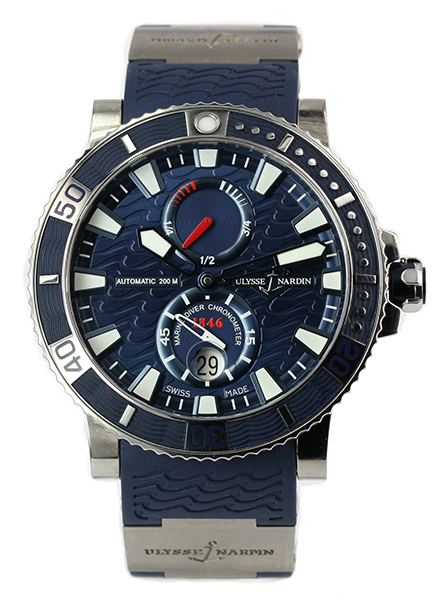 Watch Description: Stainless Steel and Titanium Case, Blue Ocean Wave Pattern on the Dial, Hours, Minutes, Seconds, 42-hour power reserve indicator. 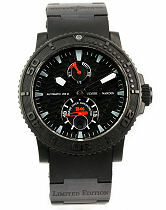 200m W/ Resistant Case with Sapphire Display Back, and Combination Titanium/ Rubber Strap with Deployant Clasp. 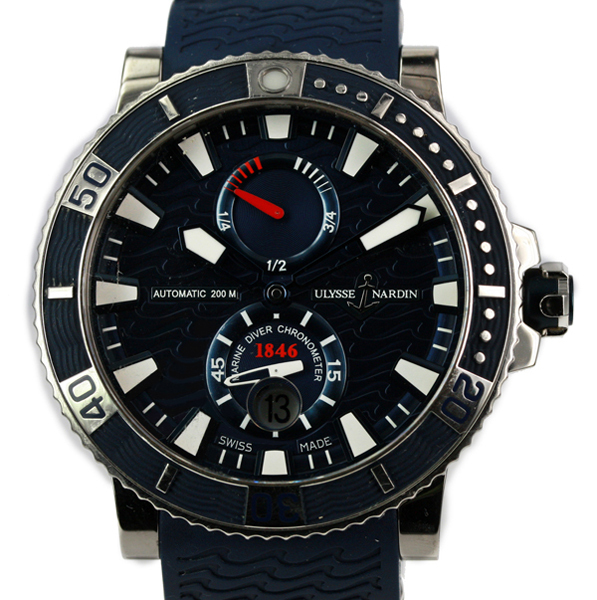 Watch Description: Stainless Steel and Titanium Case, Blue Ocean Wave Pattern on the Dial, Hours, Minutes, Seconds, 42-hour power reserve indicator. 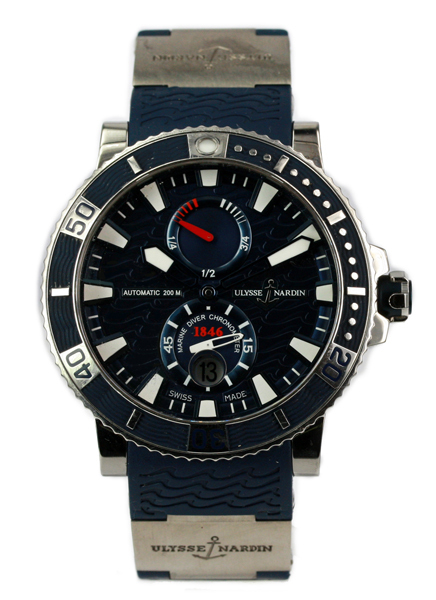 200m W/ Resistant Case with Sapphire Dispaly Back, and Combination Titanium/ Rubber Strap with Deployant Clasp.